“My Gosh, how long have I waited for dinner? Now, it is just 4 p.m. I am craving. I have to grab a bite.” That is a common feeling of many people when their lunch has already finished and dinner is too far to reach. 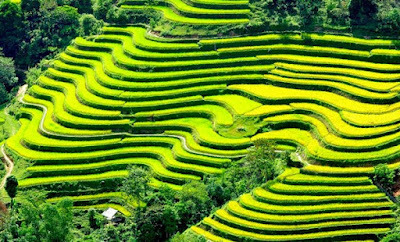 If you are in Hanoi and you just ride your bike around the centre, the issue will be immediately addressed because Hanoi is well-known for the tasty and cheap snacks which can hit your hunger. One of the most popular food for the afternoon in Hanoi is rib soup which can help you hungry enough. Bowl of soup is made of white rice grain with boiled fragrant sweet bones and ribs, mashed pork with fresh raw vegetables. The smelling of hot soup, especially in the winter afternoon is the typical thing of in many corners of Hanoi streets. 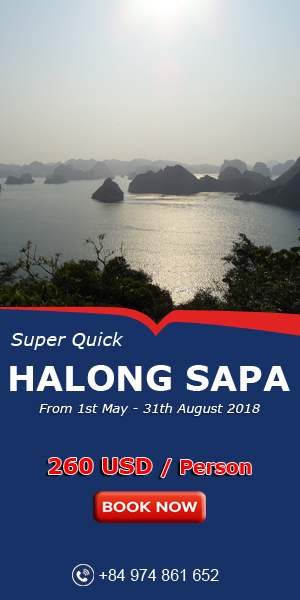 With 20.000 VND, you will kill the hunger and get ready for dinner. 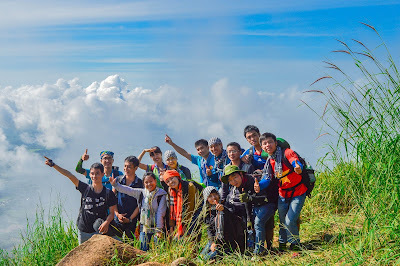 Advisable addresses is in Ly Quoc Su, Dong Xuan Market, Bach Khoa University surroundings. At about 3 p.m, when the heat of the summer is dispersing, enjoying Slim Jim salad is a really expected thing to do on street. 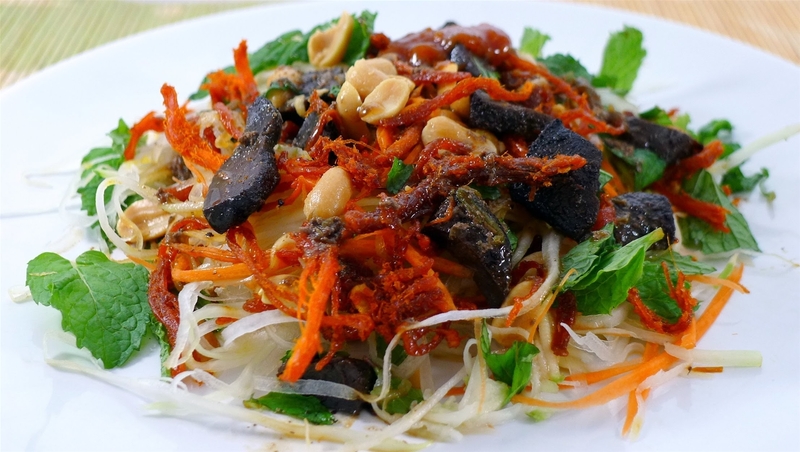 Sliced green papaya salad with fragrant taste, raw vegetables, peanuts and especially strong slim jim strings in mixed fish sauce creates a feeling of dying to eat more. Address: Guom Lake, Ham Long street, Pham Hong That street or along Old Quarter streets. 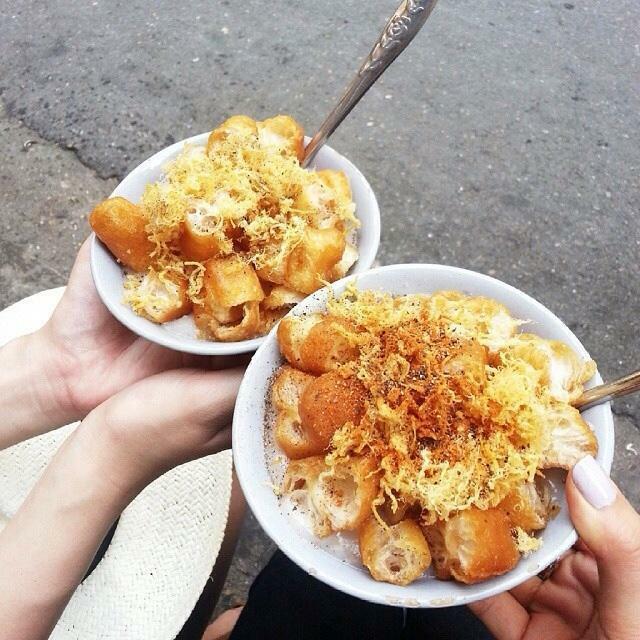 The food has long become a familiar name to Hanoi, especially its young people. 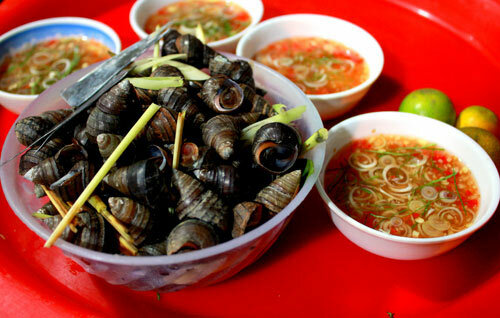 Boiled fat snails are flooded in the mixture of fish sauce with the spicy pepper and sour lemon, which is a harmorny balance of Vietnamese people’s dining style. Nothing is more awesome than enjoying the food with the best buddies and chatting and so on. 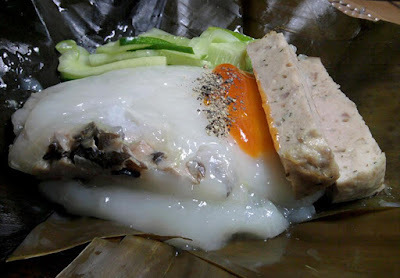 You can find out this culinary gift the foodstall in Ta Hien street, Ham Long, Cua Bac. This cake made of white rice is often used for breakfast. However, if you enjoy it in the afternoon, it is a good choice. With 7000-10000 VND only, you can eat comfortably without any fear of price. Gio cake goes with weak fish sauce and spring rolls or maybe pork pies with green rice and mixture of salad. Thuy Khue, Nguyen Cong Tru, Dong Cac, Hom market are the ideal place for the presence of this cake. Temporarily, we stop here. Now is in afternoon and surely you are craving. So, ride your bike and find something to eat. 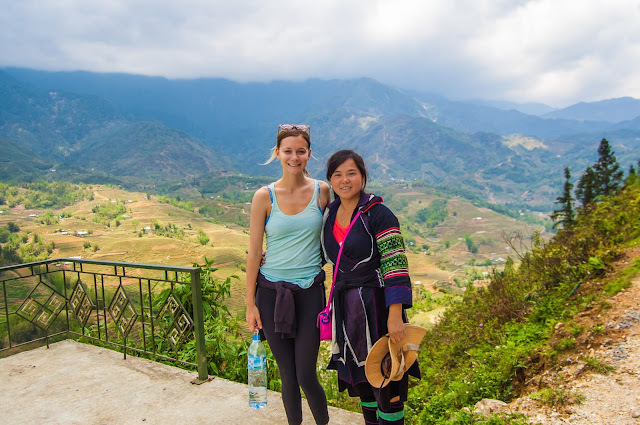 Remember to share Vietnam Typical Tour. Wonderful Hanoi dishes for Gourmets. Liar! Even summer must run away! Who causes?